The new FGFD Product Guide is now available! This resource provides an overview and brief synopsis of MSA products along with a useful selection table to narrow your choices by detection principle, unit of measure, and gas name. Download your copy today! 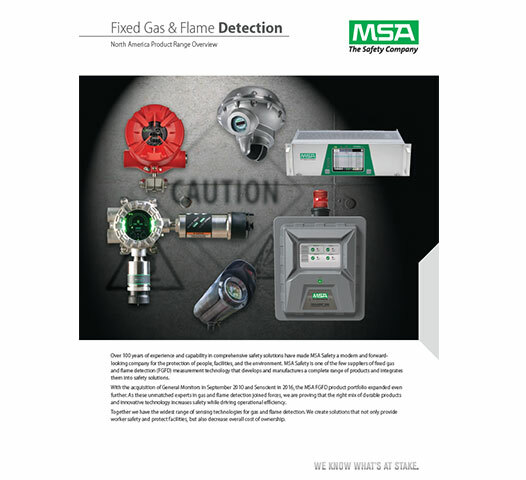 MSA offers a wide variety of Fixed Gas and Flame Detection (FGFD) products. It can be overwhelming to decide which product is right for your specific application. Our new FGFD Product Guide is here to help. This resource provides an overview and brief synopsis of MSA products along with a useful selection table to narrow your choices by detection principle, unit of measure, and gas name.